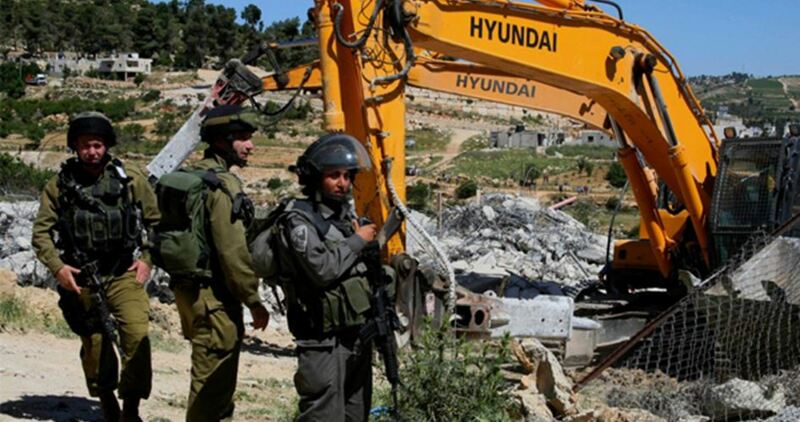 Israeli forces delivered a demolition notice for a Palestinian home in Bir Ouna area, in Beit Jala City in the southern occupied West Bank district of Bethlehem, on Thursday. Hajj Walid Zreineh told Ma'an that the Israeli authorities delivered him a demolition notice to his brother's house, Ayman Rizq Zreineh and his sons Rizq, Muhammad and Saleh Zreineh, ordering them to demolish the house themselves. 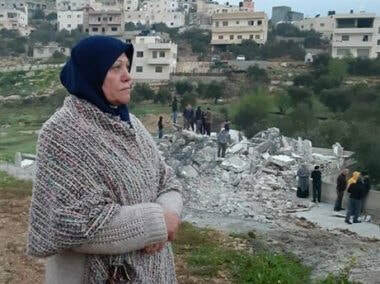 The notices state the the family should carry out the two-story house before April 10th, or the demolition would be carried out by Israel, which would forces the family to pay demolition costs and fines. Zreineh added that Israeli forces held his brother Ayman as he refused to sign the self-demolition order, adding that the family was forced to pay a 230,000 shekels ($ 63,575) as a bail. 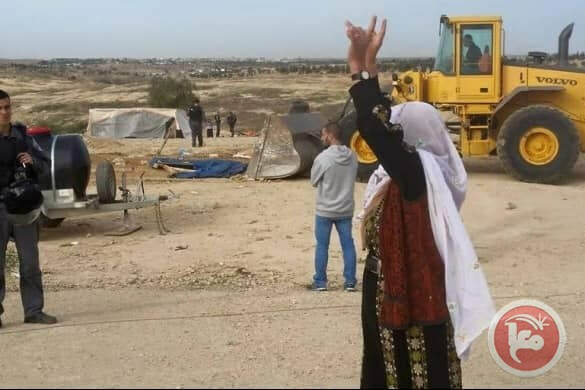 Israeli bulldozers demolished the unrecognized Bedouin village of al-Araqib in the Negev desert in southern Israel for the 141th time, on Thursday. Israeli forces demolished several housing structures in Masafer Yatta in southern Hebron in the southern occupied West Bank, on Thursday noon. Locals told a Ma'an reporter that Israeli forces raided several areas in Masafer Yatta and demolished two housing structures belonging to Ismail al-Adra and Issa Abu Arram. Israeli forces also confiscated several tents belonging to Palestinian in the area, leaving several families homeless. Israeli soldiers invaded, Wednesday, a neighborhood in Hebron city, in the southern part of the occupied West Bank, and handed orders for the demolition of two apartments, located in a five-story building, and owned by a detainee and his family. Media sources said the soldiers handed the family two orders from the demolition of their apartments, one of them is 150 square/meters located on the fourth floor, and the second with the same size but located in the second floor. 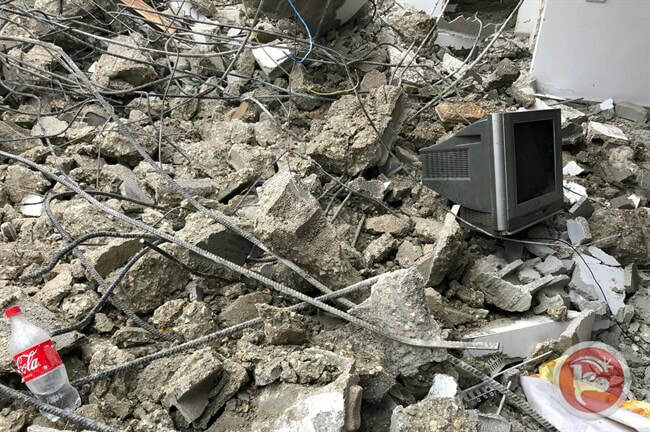 The two apartments are owned by a detainee, identified as Atiya Erfa’eyya, 27, and his parents, and the family was ordered to demolish them by March 11. It is worth mentioning hat Erfa’eyya was taken prisoner a month ago, after he reportedly killed an Israeli settler, identified as Ori Ansbacher, 19. Furthermore, the soldiers summoned for interrogation a former political prisoner, identified as Mos’ab Zghayyar, after invading his home in Hebron city. The soldiers also invaded the ath-Thaheriyya town, and Beit Ar-Roush village, south of Hebron, and installed many roadblocks at the northern entrance of Ethna town, in addition to the eastern entrance of Halhoul town, before stopping and searching dozens of cars, and interrogated many Palestinians while inspecting their ID cards. 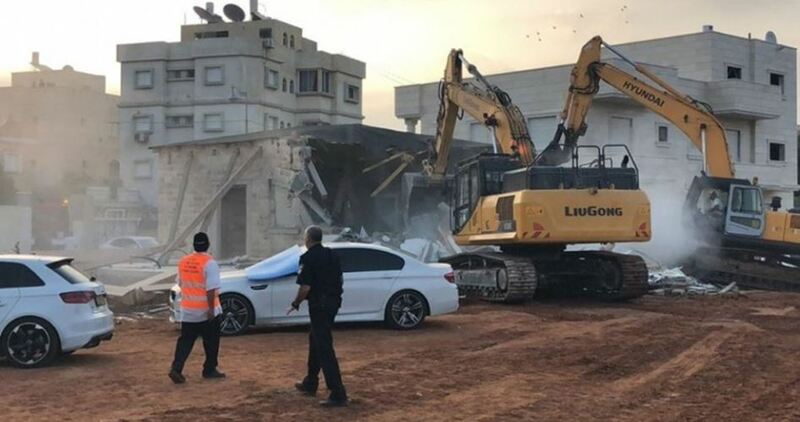 Israeli bulldozers on Tuesday demolished two Palestinian homes and displaced their residents in the village of Kabiya in the Negev at the pretext of unlicensed construction. According to local sources, Israeli police forces encircled the area around the homes as bulldozers embarked on knocking down the homes. The razed houses belonged to Mohamed Khalil and Fadi Rashi from the family of Kabiya. The Israeli measure raised the ire of the local residents, whose homes are exposed to systematic demolition by the Israeli authorities. A Ma'an reporter said that Israeli settlers raided the al-Halabi family home, where an elderly Palestinian couple lives and who were out shopping for groceries at the time; the couple was thrown out by settlers upon arrival. Sources also mentioned that home is located in a Palestinian-owned building, which is divided into four ownerships. Two belong to the al-Alami family, the third belongs to the Eshteiyeh family, and the fourth belongs to the al-Halabi family (amounts up to 40%) and measures 100-square-meters. The Israeli authorities issued court notices demanding ownership of a land on which a Jerusalem family owns a building in the Batn al-Hawa neighborhood in Silwan of occupied East Jerusalem. The Wadi Hilweh Information Center said, in a statement on Tuesday, that the Ateret Cohanim Israeli Jewish organization delivered the notices to nine members of the Maragha family; Hmeidan, Azziyeh, Salah, Fadwa, Munira, Naim, Rabia, Inaam and Itaf Maragha, demanding ownership to the land on which the family’s building was constructed. The building consists of five apartments and a parking lot, and houses 15 members of the family. The Maragha family said that their family has been living in this building in the Batn al-Hawa neighborhood for more than 100 years, adding that they have documents proving the family’s ownership of the land and the property. 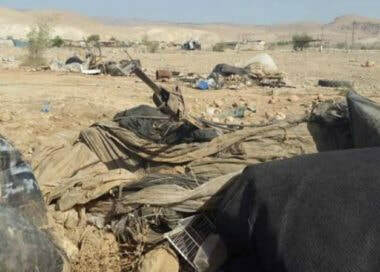 A local follow-up committee in Batn al-Hawa said that this comes under Ateret Cohanim’s plan to seize control over 5 dunams and 200 square meters of the neighborhood, under claims that they belong to Yemeni Jews since 1881. The committee added that there are between 30 and 35 buildings on the entire land demanded by the organization. The committee stressed that they will respond and object to the notices. The Israeli occupation forces (IOF) at dawn Tuesday arrested a number of Palestinians during West Bank sweeps. 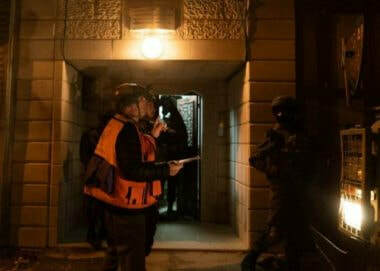 Local sources said that the IOF arrested the wife of the Palestinian prisoner in Israeli jails Tareq Barghout during a raid on their home in Ramallah. 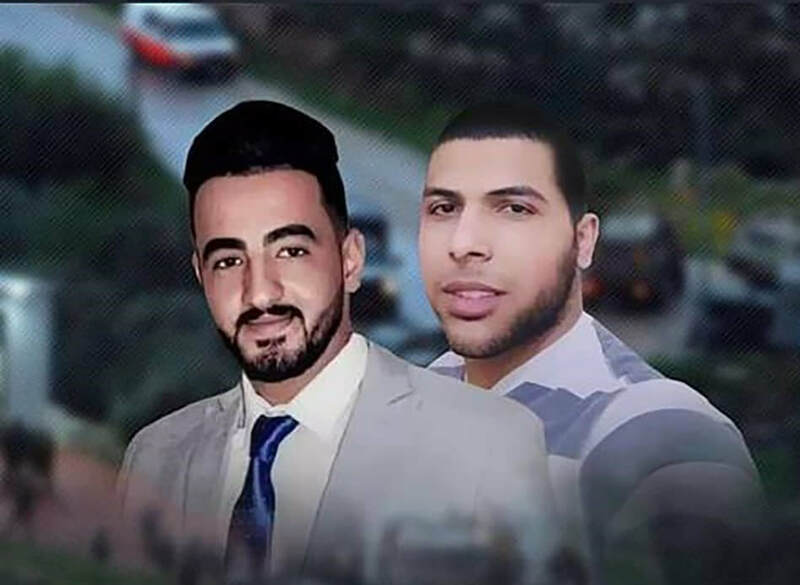 Meanwhile in Bethlehem, the IOF kidnapped Uday Abu Nassar and Ahmad al-Saifi, and handed Ahmad Abu Mefreh and Majd al-Shaer orders to appear before the Israeli Intelligence Service for interrogation. 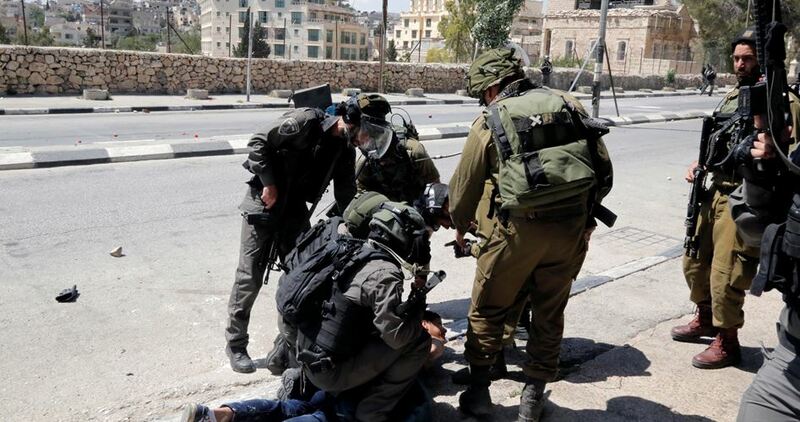 Two Palestinian youths identified as Khalil Hawil and Mohammed Zeidat were arrested in Jenin and al-Khalil, and a third named Ehab al-Qawasmeh was handed an interrogation summons. According to local residents, the IOF raided several homes in Nablus, searched them, and seized about 4,000 NIS. 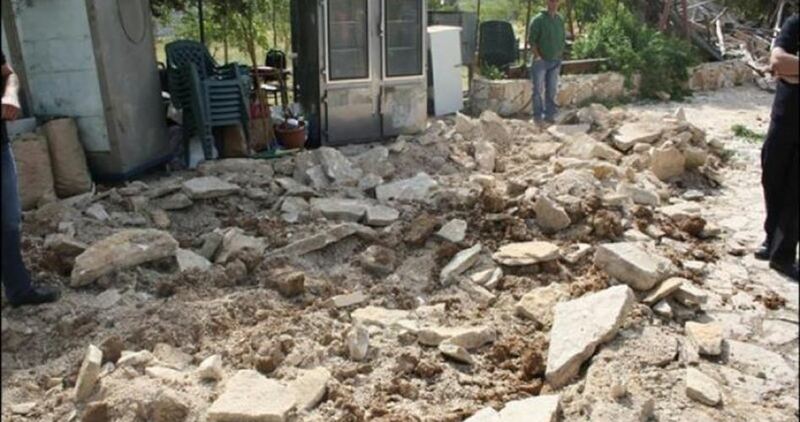 The IOF at daybreak stormed Qalqilya, raided the family house of a Palestinian martyr, and wreaked havoc on it. 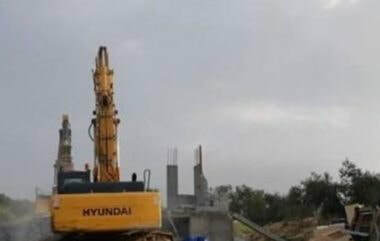 Israeli bulldozers demolished two Palestinian family houses, on Tuesday, in al-Kabiyeh village near Haifa City, in northern Israel. 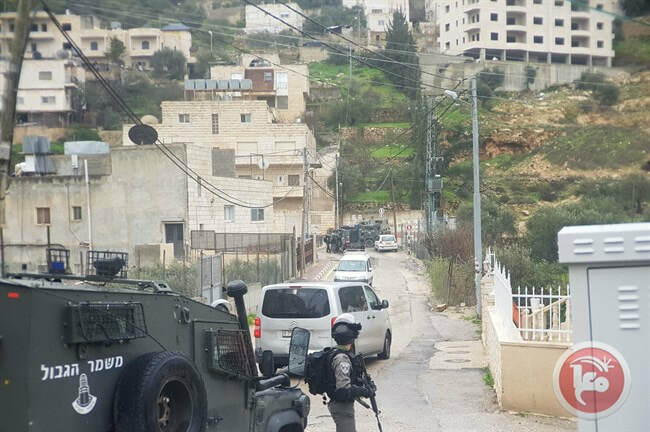 According to local sources, heavily armed Israeli police forces stormed the village along with several bulldozers and forcibly evacuated two Palestinian families. Sources said that Israeli bulldozers demolished the two homes, belonging to Muhammad Khalil Kaabiya and Fadi Rashid Kaabiya, under the pretext that it was built without the nearly-impossible to obtain Israeli permit. 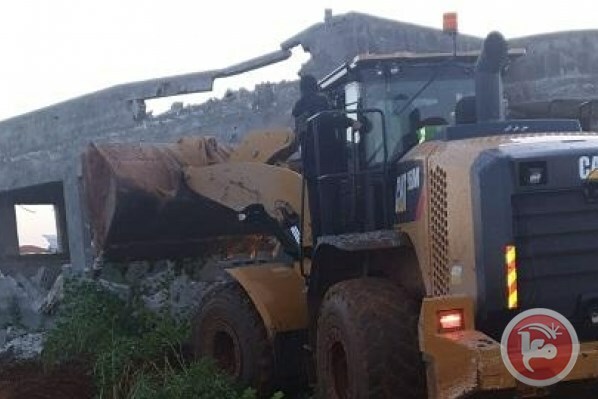 Israeli bulldozers on Monday morning demolished Palestinian structures used for commercial and agricultural purposes near Haris town, east of Salfit city. 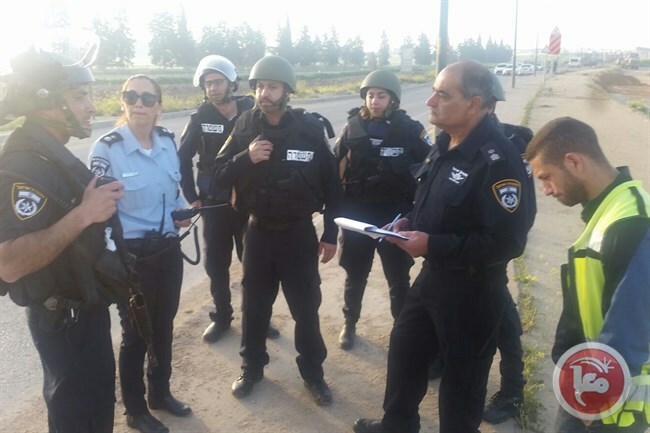 According to local sources, Israeli troops provided protection for the bulldozers as they were knocking down a car wash and two agricultural stores at the western junction of Haris. The demolished structures had been built in 2019 and belonged to a local resident. As always, the Israeli occupation army claimed the structures were located in Area C, which is under Israel’s control.